A trial procedure with an in-testing device has let a five-year-old boy hear for the first time in his life. Caiden Moran now sports an auditory brainstem implant (ABI) that, in effect, works like a microphone for his brain. 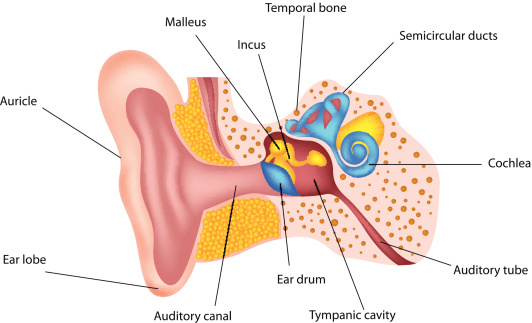 There is a part of the human ear called the cochlea. It is a spiral-shaped part of the inner ear that is responsible for turning the sounds the ear picks up into nerve impulses for the brain. Moran was born without cochlea. This meant that not only was he completely deaf, but also one of the main treatments for deafness—a cochlear implant—was not feasible. Cochlear implants only help sound signals reach the cochlea; they cannot substitute for cochlea. This is where the ABI comes in. The device has two main parts. The first is a microphone and transmitter worn on the head around the ear. These take sounds and turn them into electrical signals. The second part of the device, an internal receiver made of electrodes and implanted in the brainstem, receives these electronic signals. This allows the auditory neurons in the brain to be stimulated by bypassing the inner ear entirely. Although this sort of neural surgery may sound intense for a small child to undergo, it is Moran’s age that makes him ideal for the treatment. Past studies on cochlear implant patients show that the earlier an auditory treatment is given, the better the brain can adapt to it and this results in a better outcome for the child. The ABI is the only FDA-approved implant of its type in the U.S. and the clinical trial began in 2014. The ABI is only approved for children aged two to five. Moran had his surgery in January of this year. Although Moran still primarily speaks in sign language, he continues to show improvements after the surgery. He attends speech therapy several times a week to work on his speaking and listening abilities. The ABI trial is being run by the Children’s Hospital of Los Angeles alongside the USC’s Keck School of Medicine. Bresnahan, S., “’Bionic Ear’ Lets Deaf Boy Hear for the First Time,” CNN web site, August 17, 2015; http://www.cnn.com/2015/08/17/health/bionic-ear-auditory-brainstem-implant/index.html.